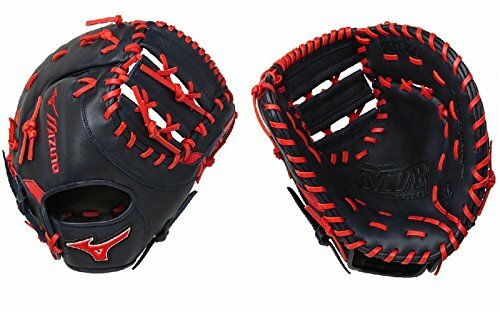 Mizuno Youth Baseball Gloves - Superb Performance? 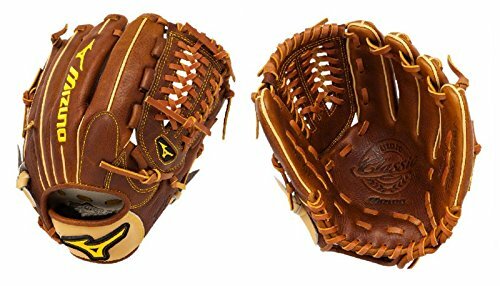 Mizuno Youth Baseball Gloves – Superb Performance? 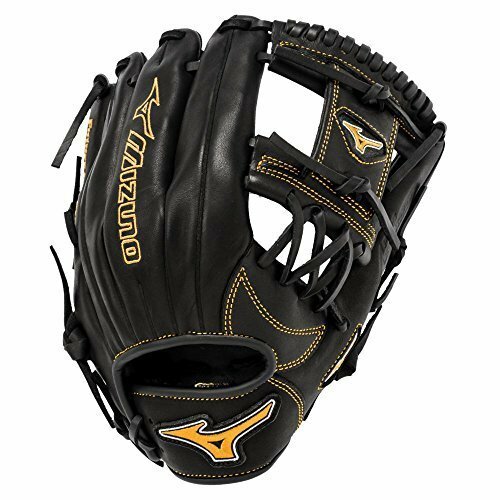 It’s really no wonder that Mizuno youth baseball gloves are terrific, as the Mizuno company has been in the baseball glove industry since 1913. That’s more than a century of experience and expertise. It shouldn’t also come as a surprise that Japan has a stellar record in the Little League World Series, having won the title 10 times. There are also a lot of MLB players using Mizuno gloves. These gloves can be found in just about every position, and of course Ichiro, Chris Sale and Andrelton Simmons are just a few of the star who use them. With so many superstars, many kids tend to like Mizuno too. So let’s take a look at some of these gloves and see what really makes them so special. 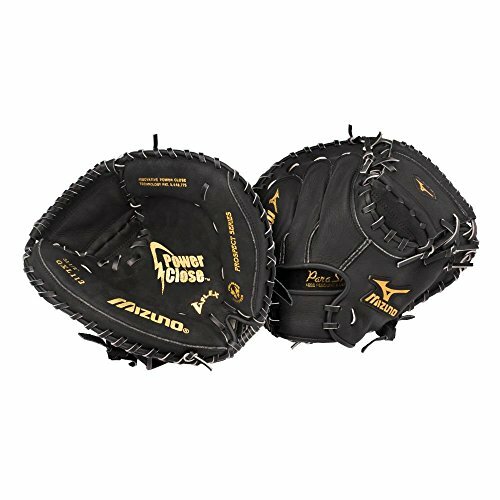 Mizuno infield baseball gloves offer several varieties, and the utility gloves offer versatility of use for multiple positions at an affordable price. But for true quality, you can’t beat the Classic Pro Future GCP41F Youth Infield Glove. It’s a bit expensive as it retails for $180, but nonetheless it has received lots of rave reviews. One of the reasons why so many players like it is the quality of the leather much like the GMP650 glove. It’s called “Throwback Leather”, and it surely does look timeless. Its classic look evokes the traditional feel of baseball and its rich history. It’s very rugged, and it’s plush too so the comfort you feel is amazing. But its look belies the fact that it features innovative technologies that cater to more current philosophies. You don’t have to oil this baseball glove at all, as it’s already been pre-oiled for you, and this helps the glove retain its shape for a long time. Its structure is reinforced with roll welting and support throughout the fingers. It also breaks in very quickly, which matches most people’s need for virtual out-of-box usefulness. The roll welting enables the glove to get into proper shape so that you can snag infield balls quickly and cleanly. It also features the Ultra Soft Pro. This is the new version of their palm liner, which gives better feeling than ever before. The soft finish feels comfortable for your hand, and it also minimizes the sting of hard hits. For easier closure, you have more flexible felt in the heel. The Deep III Web stops the ball from spinning when you snag ground balls, and then it gives up the ball easily so you can transfer it to your throwing hand. It measures 11.25 inches, so it can accommodate 9-year-old players comfortably. 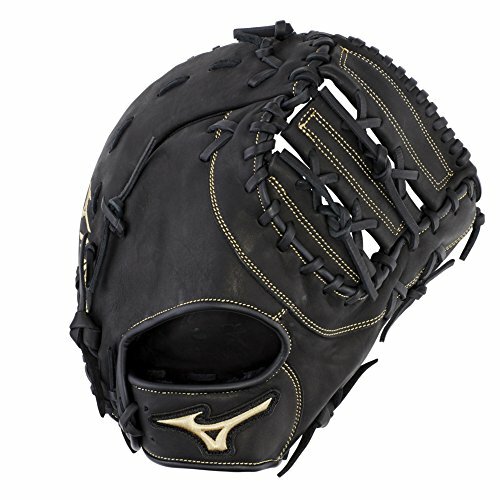 A more affordable model is the Mizuno Youth MVP Prime Future GMVP1150PY1 11.5″ Baseball Infield Glove. It’s a bit more affordable because it’s an older model, but it already incorporates many of the advanced features of its more expensive sibling. It measures 11.5 inches, and the Tartan Shock Web is very good at stopping the spinning and enabling quick transfer to the throwing hand. The leather is oiled as well. It breaks in easily too, and soon thereafter it’s easy to close in to balls. And you also get the long-lasting SteerSoft palm liner that protects your hand while it also enables you to catch balls more effectively. I love the color of the Franchise mitt I have listed last down below. You can get that glove for lefties or righties. Oil Soft Plus Leather - Perfect balance of oiled softness for exceptional feel and firm control that serious players demand. Smooth professional style - Two-tone lacing. Youth leagues have their own rules regarding the size of the gloves and mitts used by players. In Little League, the rule (Little League Rule 1.13) says that a first baseman may wear a glove 12 inches or below and it can’t be more than eight inches wide across the palm. This rule may seem to preclude the MVP GXF102 First Base Mitt from Little League play. It says in many of the ads for the Mizuno first base glove that it measures 12.5 inches. But many who found out by calling Mizuno directly discovered that it’s actually 12 inches, which makes it legal to use in Little League. But you should confirm that yourself as well with local league officials. It’s a great mitt for ages 9 to 12, as soft leather is breaks in very easily. After a couple of practice sessions, it should be good to go. The leather is genuine and will last several years. 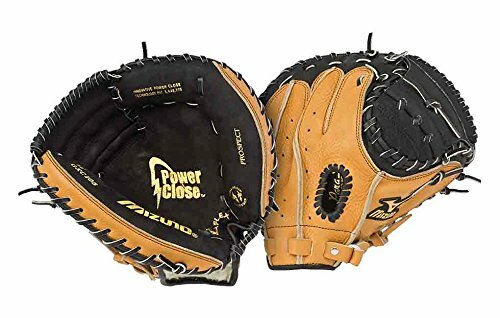 Perhaps the problem with it is that it’s often out of stock when you’re looking for a left-hand thrower version, which is strange for a first baseman’s mitt. Lots of left-handed baseball players are brought in to man 1st base. It may surprise you to note that it features an open H-web. But it makes sense because in youth league play 1st basemen may have to field balls too. The webbing lets the player transfer the ball cleanly to the throwing hand, where it can throw the ball to 2nd or 3rd base. As far as “cool” factor I think these are the coolest. I love the black leather they use. What do you think? If Ichiro was a young boy, what would he wear today? Of course he would choose among the Mizuno outfield baseball gloves. 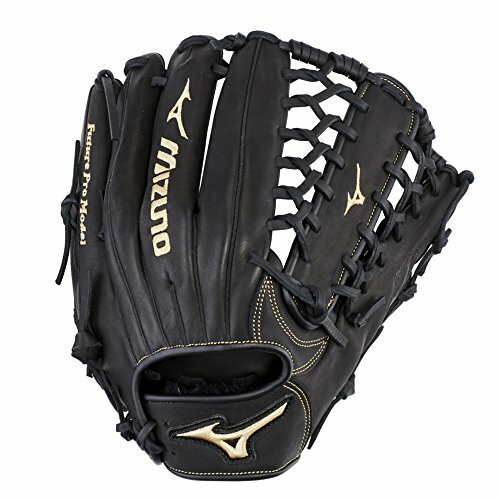 The prime suspect would be the Classic Pro Future GCP71F Youth Mizuno Outfield Glove. It measures 12.25 inches, and it comes with the Ichiro web that can secure the ball in the pocket when you snag fly balls. It’s open web so you can see through the glove when there’s a pop-up on your way. The size and the web are the only differences of the GCP71F from the GCP41F infield glove. The outfielder version also has the throwback leather, roll welting, and Ultra Soft Pro palm liner. There’s a version for left-hand throwers too. 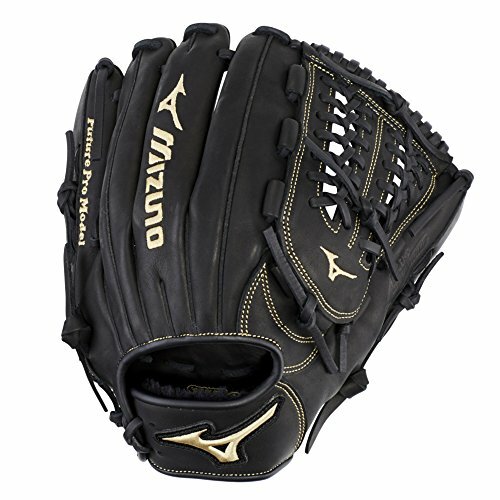 I’m a big fan of today’s Mizuno baseball outfield gloves because they just look plain cool. The large webbing is cool because many of them have a lot of those tight strings that looks like a spiders web. Check out these quality mitts and let me know which one you like the best. My favorite by far is the silver,Red and Royal MVP Prime glove. Just look at it! That is high quality and you’re sure to catch just about any ball hit towards you. 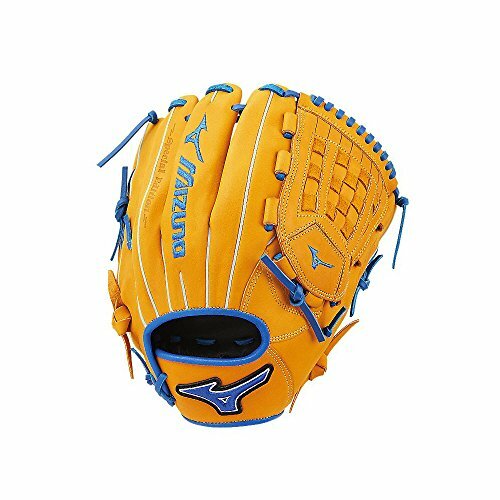 Mizuno MVP Prime SE GMVP1200PSE6 Infield/Outfield/Pitcher Model Gloves, Cork/Royal, 12"
Watch this video all about the guy from Japan who personally works on Mizuno youth baseball gloves here in the USA. 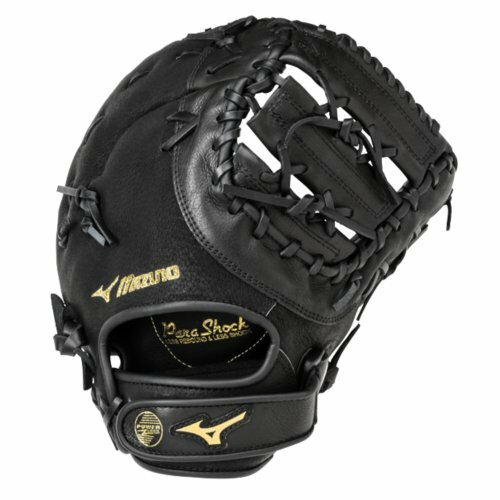 For the catcher Mizuno offers several options for mitts, but the best of the Mizuno catcher’s gloves is probably the Samurai GXC95Y Youth Catcher’s Mitt. It looks formidable, but then again it is tough and durable enough to protect the hands of a catcher from youth fastballs. It’s made from the high quality leather that can last for quite a while. Its most notable feature is the Parashock Palm. It’s designed to hold up to the shock of repeated baseball impacts. It offers excellent protection and comfort for the hands, while it also secures pitches inside the mitt with less rebound. 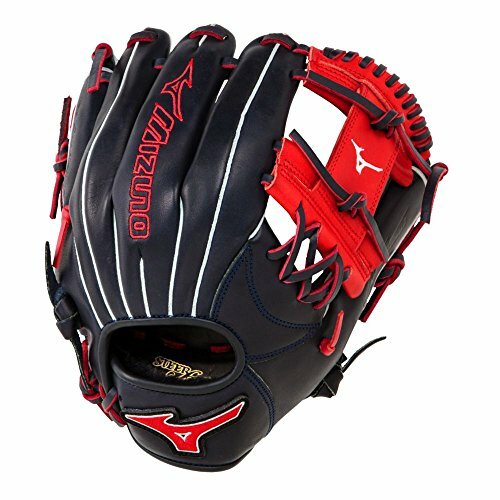 Here are my top six best Mizuno catchers gloves for you to look at and research further. Just click on an image and you’ll end up on the actual product page where you can read all sorts of information including customer reviews. I love the Samurai Pro mitt! Very interesting to see what these pro players say about this important subject. Have you ever used one of these Mizuno mitts before? What do you like about them? Choose specifically for your position when you get a baseball glove. 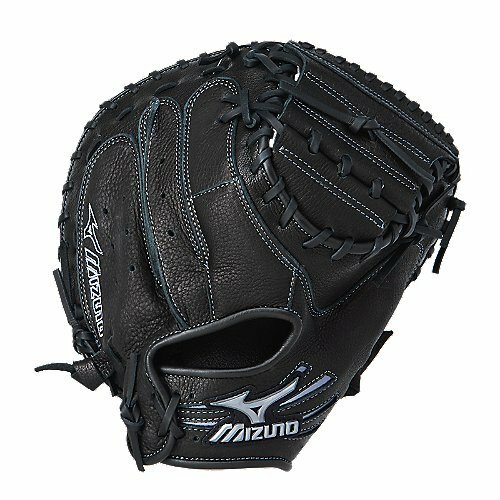 For young players, the Mizuno youth baseball gloves offer superb performance, comfort, and protection, at reasonable prices. Need the best price on these gloves? Check this sale and deals page on Amazon.